Want to be hired by Felix? 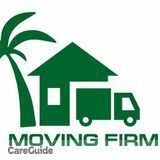 •	Moving experience is a PLUS. Looking For A Salesperson For A Store that Helps Indigenous People Earn An Income The store will feature handcraft items.